Location - De website van avounozotes! Located on the banks of the Meuse in Jambes and within walking distance of the Citadel and the center of Namur, the capital of Wallonia. 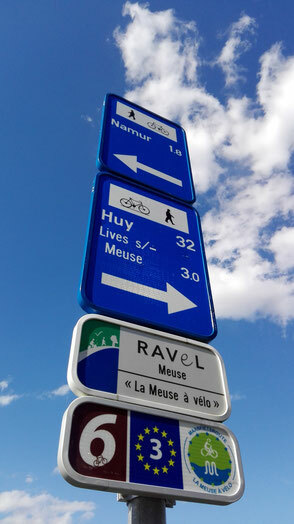 The airport Brussels South / Charleroi is situated 28 km from the B&B, Brussels Airport is 55 km away. We provide an ideal starting point for exploring the area in any way you please, be it on foot, by bike or car. You can also board the "namurettes", a medieval means of transport on the water only 200m away from the B&B, to enjoy the little streets in the "Vieux Namur". Shopping and gastronomy can be found in the Walloon capital. Free parking is available at our B&B.